Jay Wright will be an assistant coach for the U.S. national team. 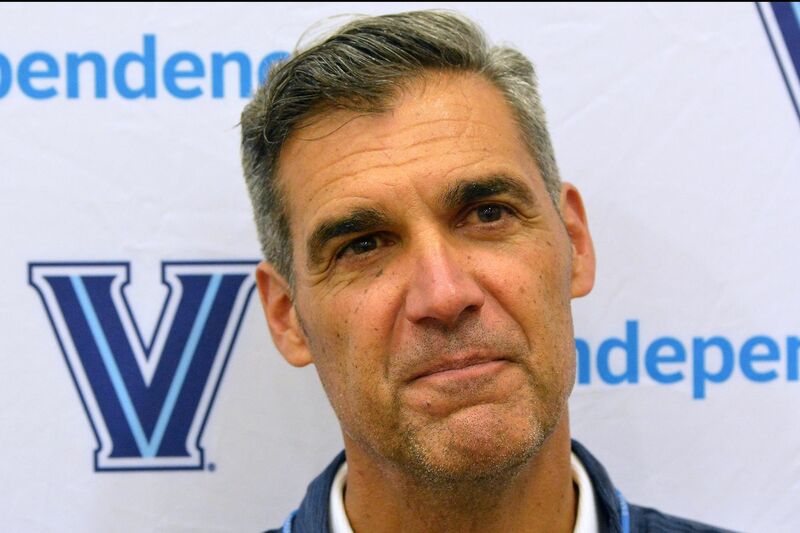 Villanova coach Jay Wright has been named as an assistant coach for the 2019-20 USA Basketball men's national team, it was announced Thursday. That means Wright will be an assistant coach at both the 2019 World Championships in China and the 2020 Olympics in Tokyo. He estimated that he will take about 30 days each year away from his Villanova duties, noting that USA Basketball called Villanova athletic director Mark Jackson to ask permission for Wright to join the staff of national team head coach Gregg Popovich. NBA head coaches Steve Kerr of the Golden State Warriors and Nate McMillan of the Indiana Pacers also were selected as assistant coaches. "To be a part of this, to work with Nate and Steve, under Pop, is a coach's dream," Wright said Thursday at a news briefing on Villanova's campus. "I'm obviously thrilled to work with these great players. It will be an experience of a lifetime. … I've worked with the Olympic teams early in their development with [Duke coach Mike Krzyzewski], but I never took the trip. When they went overseas, I always stayed home. So this will be my first experience ever at an Olympics, seeing one or being part of one. Separate from the basketball, I'm thrilled about that." That's assuming the U.S. qualifies, of course. Wright has a variety of experiences with USA Basketball, most recently as an assistant coach during the men's national team minicamp earlier this year. He also was an assistant to Popovich on the 2016 USA select team that trained with the U.S. Olympic team. Krzyzewski had been the head Olympic coach. As head coach in 2005, Wright led Team USA to a gold medal at the World University Games. He also coached in the 2007 Pan American Games and was co-head coach of the 2010 USA select team that trained with the U.S. World Cup team. In a statement, Jerry Colangelo, the managing director of USA Basketball men's national team, said he was confident that the team "is in excellent hands the next two years." "It's special that each coach has prior USA Basketball experience as either a player or coach, and each coach has compiled a successful and impressive resume," Colangelo said. As far as the impact on recruiting, Wright said he anticipates there probably won't be much of one — "we still have to get the same kind of guys. It won't hurt, I'll tell you that." Wright said they'll make plans to have the staff "still be really aggressive in our recruiting even when I'm away." Wright said Popovich organizes his staff "so that we all do everything. Not as much an offensive coordinator and a defensive coordinator. But we really haven't gotten together to talk about that yet. … I know one thing, working with the NBA guys, I come back with a lot of notes, a lot of things to bring back to our team. They're great basketball minds and they definitely look at the game a little different than we do in college, so it's always, as a coach, really enlightening."